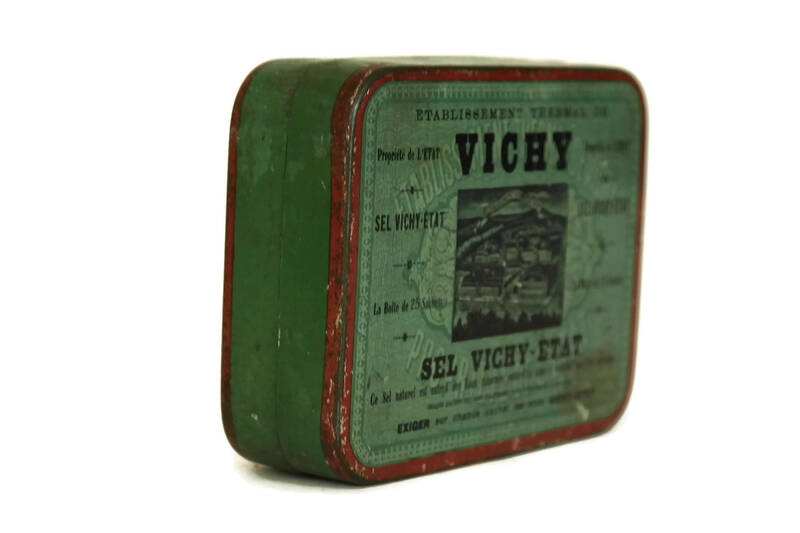 French Vichy Tin Box with Advertising For Mineral Salts Medicine. 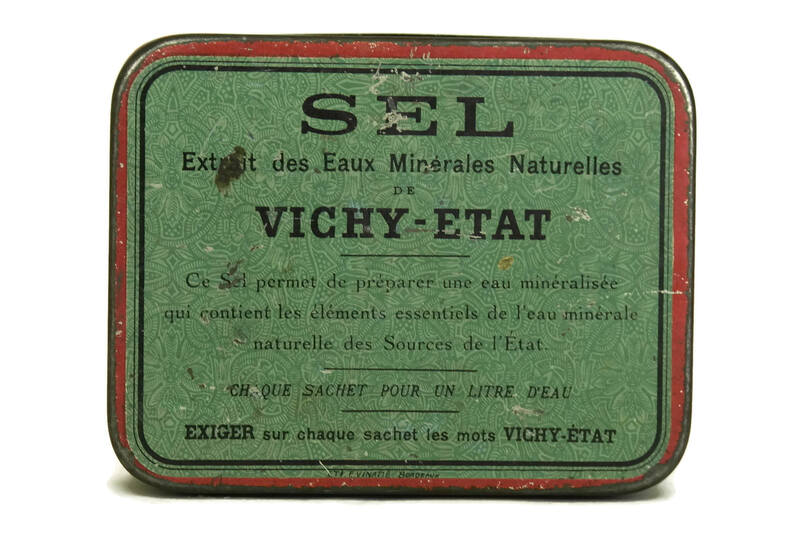 Vichy Etat Sel Lithograph. 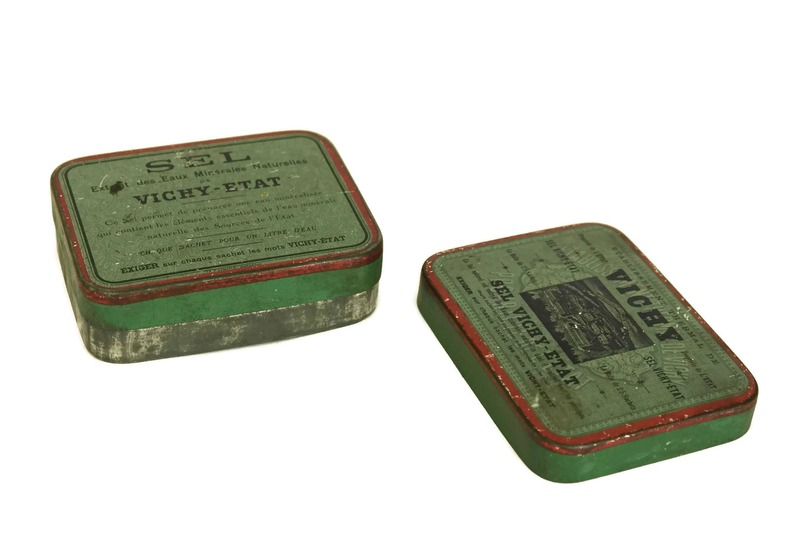 Collectible Medical Curiosity Cabinet Decor. 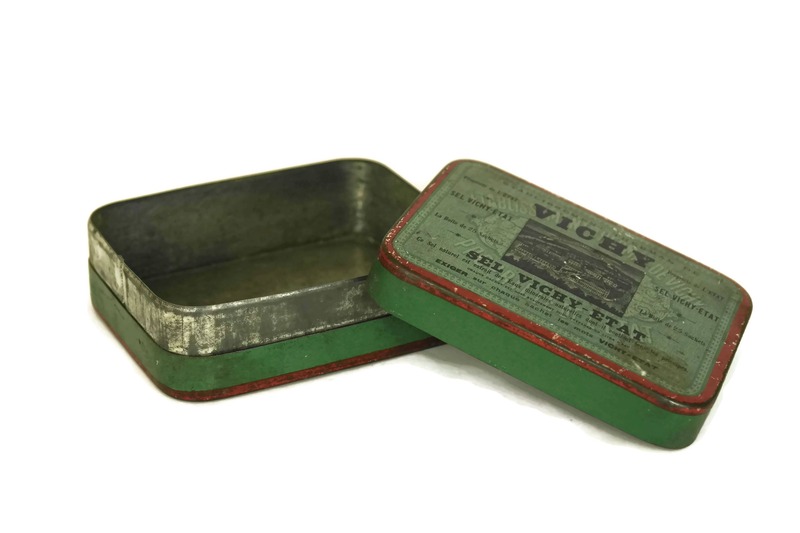 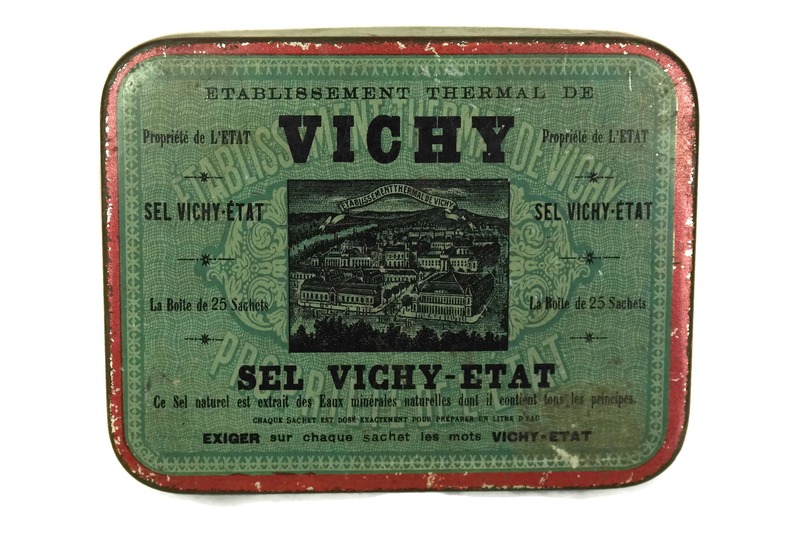 An elegant French Vichy tin box with advertising for the famous brand of mineral salts. 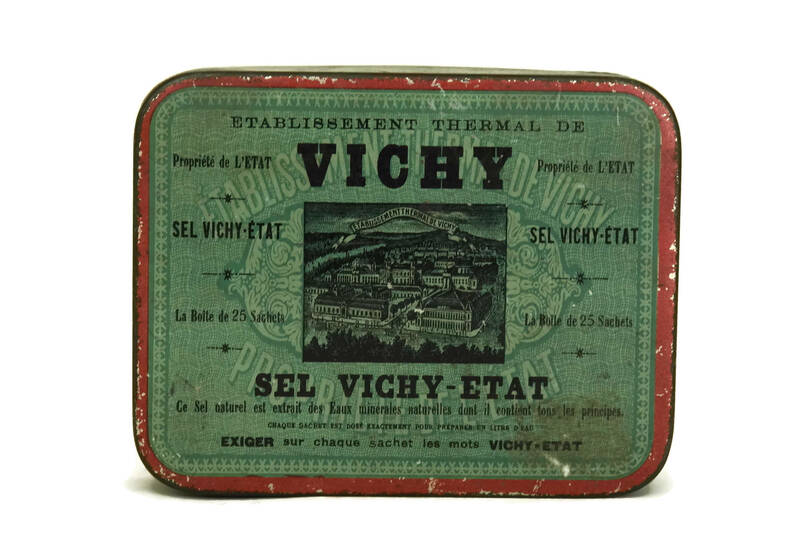 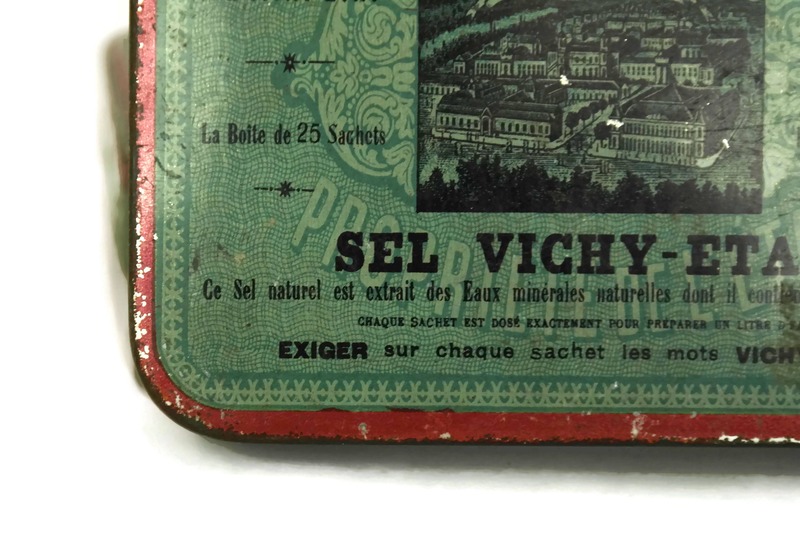 The lid and underside of the medcine box have been decorated with a lithograph image of the Vichy Etat Sel company. 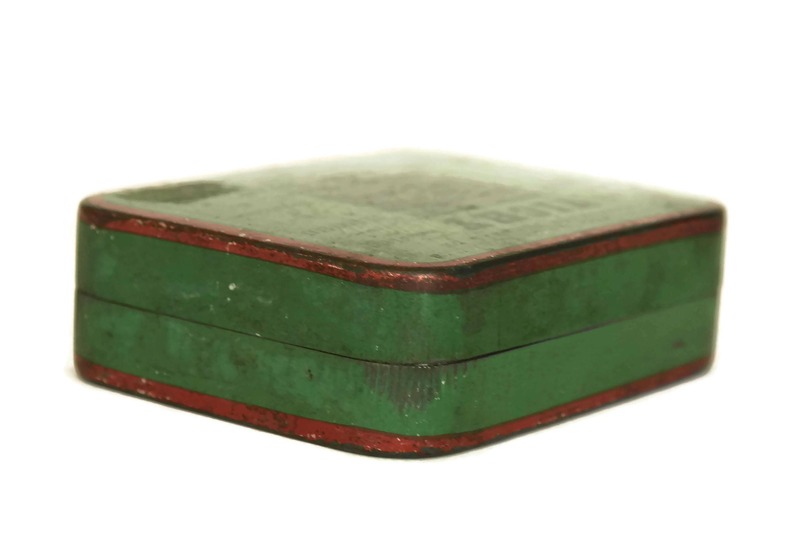 (11 cm x 8,5 cm x 3 cm). 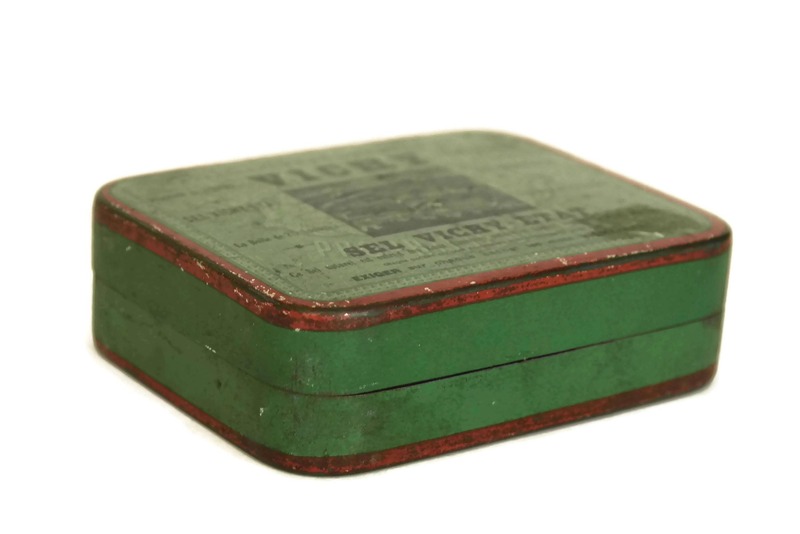 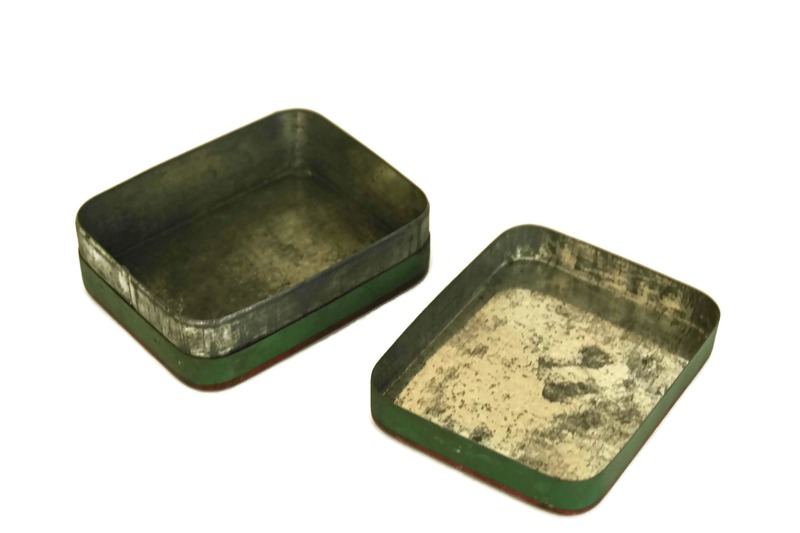 The tin box is in very good condition with age-appropriate wear including patina, marks and scratches to the metal and image.